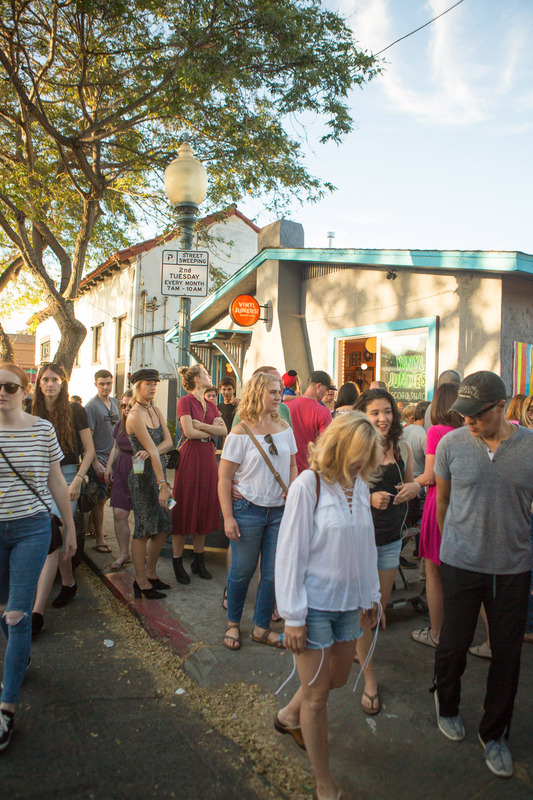 The sidewalk outside of Vinyl Junkies is full of people during the South Park Walkabout, a quarterly fun-filled evening festival that showcases all the unique and independent businesses within the South Park neighborhood in San Diego. Vinyl Junkies is property released. Not model-released.